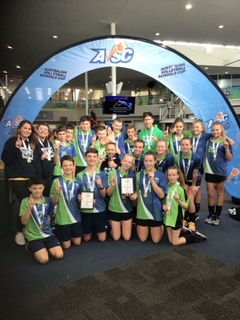 Congratulations to our Year 6/7 students who competed in the Australian Volleyball Schools Cup in Melbourne in the last week of school last year. Both the boys and girls teams came first in the Division 2 competition. The AVSC is the biggest school based sporting event in the Southern Hemisphere and attracts upwards of 7000 students each year. Thank you to the teachers and parents who supported our students with the many hours of training for this event and on the trip to Melbourne.